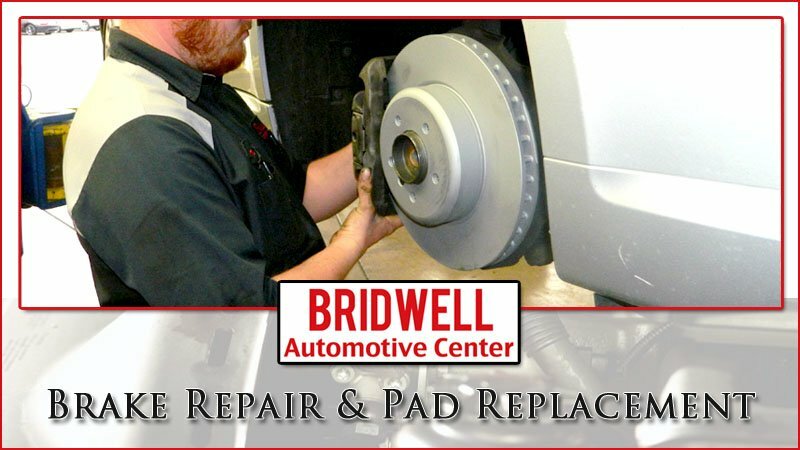 If you are searching for brake repair, brake pad replacement or rotor repair shops in Scottsdale, Bridwell Automotive Center can help! Bridwell Automotive Center offers affordable brake services in Scottsdale, Arizona. Get an affordable brake repair estimate for your car, truck or SUV by visiting our Bridwell Automotive Center located at 7171 E Lincoln Dr. Scottsdale, Arizona 85253 or by giving us a call today (480) 948-4781. Popular search queries used to find our brake services include: “brake shop”, “brake pads replacement near me”, “brake repair shop”, “brake repair near me”, “brake repair Scottsdale”, “brake pad repair near me”, “rotor repair near me”, “brake service in Scottsdale”, and “brake shop near me”. Bridwell Automotive Center offers free brake inspections on almost any car or truck. Waiting for soft pedal, grinding noises or brake squealing is a costly mistake. Stop by Bridwell Auto Center for a free brake inspection today. We provide quality brake repair and brake pad replacement in Scottsdale, servicing nearly any make or model of car or truck. Don’t be fooled by so-called “Brake Specialists” that offer extremely low prices to replace your brakes. First, you get what you pay for. Second you will almost never get just your brake pads and or rotors turned or replaced. There will almost always be more work to do that will drive the cost of your brake repair up higher than promised. Brakes making a high pitch squealing noise? That high pitched sound could be due to the rod that is inserted into your brakes pads. That indicates that the brake pads are wearing down. If you continue to ingore these warning sign your brakes will eventually wear out and start grinding metal on metal. You could end up damaging your rotors and having to get them spun or replaced (very expensive), which can be very costly. European cars (Mercedes & BMW) are a little bit different. 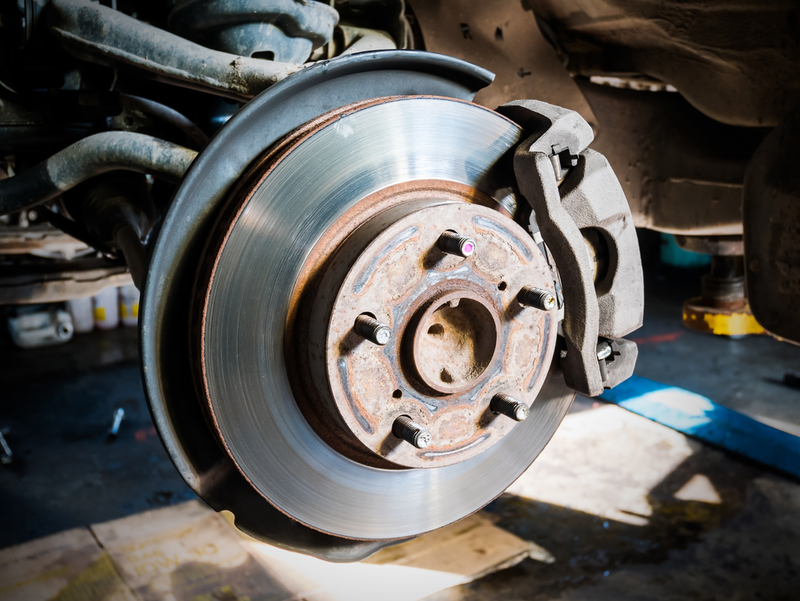 They often require that the brake pads, rotors or discs be replaced each time a brake service is performed. We also can preform brake repair for any other vehicle, both foreign imports and domestic cars, trucks and SUVs. Take our challenge and call a dealership and another independent brake repair shop for estimates. They will both tell you the same thing. Brake specialist type shops hope that once your car is at their shop you will not pull your car out because it “requires” more work than their initial ‘low ball’ price allows. Bridwell Automotive will never sell you anything that your brake system doesn’t absolutely need because we are priced fairly from the beginning. We make every effort to make sure each customer is satisfied every time, the first time. If your vehicle’s brakes are in bad condition or you kept driving after your brakes started squealing, there is a great chance that your rotors were damaged due to the metal on metal scraping. If your rotors still have life left there is a chance you can get them spun to remove the scrapes. However, if your rotors are bad you will need rotor replacement. Some brake repair shops won’t even replace your brakes without replacing your rotors because bad rotors will wear your brakes out twice as fast. If a brake shop tells you they can replace your brakes without spinning or replacing your rotors, run fast! The biggest enemy of brake fluid is moisture, and moisture can rust the internal parts of the brake system where the brake fluid flows. This was not as much of a problem 20 years ago, but with the advent of the ABS brake systems of today, rust and other debris that accumulates in the fluid can a lot of internal damage, and can be very costly. Additionally brake fluid also breaks down over time from the heat that is created from your brake system. We recommend flushing the brake fluid system about every 30,000 miles, or every two years. When you press on your brake pedal, hydraulic fluid moves through the brake lines to create pressure against the calipers. The calipers press again your rotors on both sides to create friction and slow down your vehicle. Your brake pads are a part in-between your calipers and your rotors. The brake pads are made out of ceramic or metallic material that wears out over time. The ceramic or metallic pad is actually what creates the friction against your rotors. It is very natural for your brake pads to wear out overtime. However, just because there is friction in place doesn’t mean you should hear any squealing or squeaking noise. If you are hearing high pitched noises coming from your brake pads, that’s a sign your brake pads need to be replaced. Brake rotors are the circular piece of steel that the calipers and brake pads press against once you apply force to the brake pedal. Rotors should be smooth, without any scratches, dings or dents to prevent your brake pads from wearing out faster. This is why most brake replacement shops require replacement of the rotors along with your brakes, to ensure the most life and dependability of your brake pads. A brake flush is used to clear out old hydraulic fluid and debris from the hydraulic system. The system is then refilled with new hydraulic fluid to ensure the best performance and lifespan of your braking system. Typically brakes should last about 50,000 miles, however, depending on the way you drive, brakes could last as little as 25,000 miles or as long as 70,000 miles. When to replace brake pads mm? Experts recommend changing your brakes pads once your pads reach 3mm (3 millimeters) or less. My brakes have no pressure, is that a problem? If your pedal goes all the way to the floor when you press on the brakes, you either have low brake pads, low brake fluid, a problem with your master cylinder, or a problem in your brakes lines or hydraulic system. You should have your brakes inspected right away. Call or Stop By Our Brake Shop In Scottsdale, Arizona. In addition to being a full service gas station we employee ASE Certified mechanics that work on imports and domestic vehicles alike. When you need new brake pads, brake rotors, or other brake services such as a brake fluid system flush our team is here to help! Conveniently located in Scottsdale we can tend to nearly any vehicle repair or maintenance need. Stop by our Brake Shop In Scottsdale located at 7171 E Lincoln Dr. Scottsdale, Arizona 85253 or by giving Bridwell Automotive Center a call today (480) 948-4781.